Ancient cultures have thrived on healthy foods for centuries. From the Mayan to the Incan Empire, battles were fought and won with the help of foods sacred to the land. You might even say that these healthy foods from the earth gave those who indulged super powers upon consumption. These foods were an important part of the culture, giving them enhanced energy, and incredible health benefits with the ability to ward off illness. It’s interesting that the foods indigenous to today’s Western culture have the complete opposite effect. The Big Mac is praised the same way chia seeds were for Aztec warriors, yet fast food is associated with an unhealthy lifestyle. Instead of thriving on healthy foods like ancient cultures, the vast majority of North Americans slowly weaken on the foods they consume. Basic grains and plants are striped of the essential vitamins and minerals that we need, in addition to the junk, fast, and convenience foods that are so commonly accessible to us. Western culture can definitely learn a lot from the healthy foods that strengthened and prolonged the lives of ancient civilizations. Here are five superfoods that have powered ancient cultures for thousands of years and you can find easily in your local health food store. Organic acai (pronounced ah-sigh-ee) berries are found deep within the Amazon rainforest and the ancient Amazonian tribes first used the dark purple berries for preventing and curing diseases. One Amazonian tribe, the Shuar, was known as medicine men and women (uwishin), and has kept the tradition of acai berry cures alive. Its antioxidant properties help prevent cancer, and it is rich in fiber, omega fats and protein, and contains 19 of the 20 essential amino acids. Acai, also used in powdered form, is often praised now as a supplement for weight loss because the fiber helps keep you full. It can easily be used in juices or smoothies. 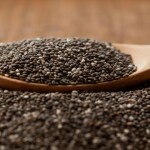 Chia seeds were made popular in the 1980s with rise of Chia Pets in America, which is a unique way to sprout chia. 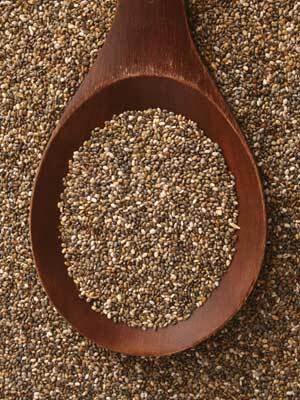 However, the tiny chia seeds were main nutrition supplies for South and Central Americans thousands of years ago. A tablespoon would help sustain an Aztec warrior for a whole day with several essential nutrients. They helped fuel Incans and Mayans, as the word “chia” means strength in Mayan. 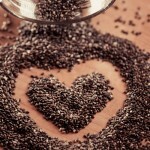 Chia seeds are a great source of protein, fiber, and omega fatty acids. They help stabilize blood sugar levels and are great for brain function maintenance and inflammation reduction. These healthy foods are a great addition to salads, cereals, or smoothies. 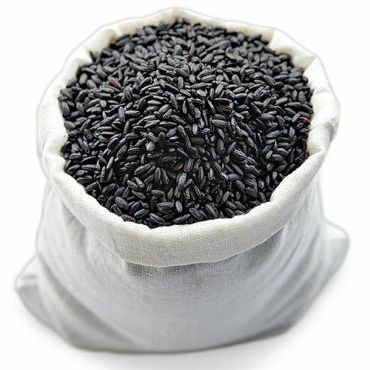 Black rice isn’t well known today, but in ancient China it was the long and healthy life warrantee, similar to what T.V. gurus promise today. It was only known as “forbidden rice” because only the emperor of China could consume this delicacy. This rice is high in anthocyanins and acts as a strong antioxidant, eliminating your body from harmful free radicals. 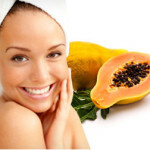 It also contains vitamin E, which is great for the immune system. You will reduce aging and cancer with the consumption of this superfood. 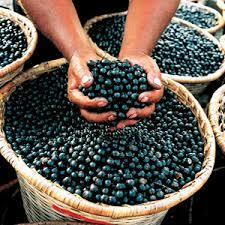 It also has less sugar and more fiber than blueberries, which are commonly praised for high amounts of anthocyanins. Add these healthy foods to your diet. In ancient Peruvian culture, this fruit was viewed as a symbol of fertility and creation. The orange and yellow lucuma fruit (Lucuma obovata) was praised as the “Gold of the Incas.” The lucuma fruit has been revered for years, as discovered on ancient ceramic carvings found in coastal Peruvian burial sites. 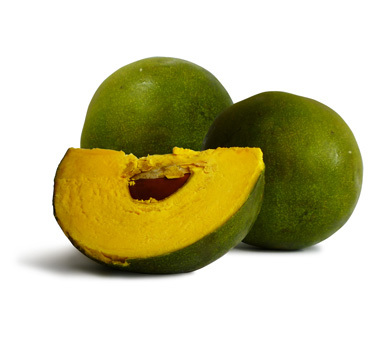 The powder form of the lucuma fruit is ideal in juices, smoothies, and homemade desserts with its signature maple taste. It is nutrient heavy in iron, zinc, beta carotene, calcium, niacin (vitamin B3) and protein, and is also useful as a low-glycemic sweetener. 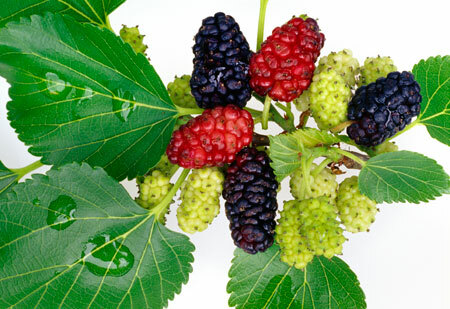 Well before mulberry bushes were growing in your front yard (yes, I have one), the white mulberries were known to have grown for thousands of years in ancient Turkey. 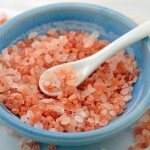 The superfood was also valued by the ancient Roman Empire. 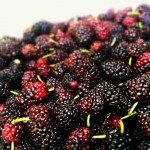 Mulberries are a great source of protein, fiber, iron, calcium, and vitamin C. It also has the anti-aging nutrient, resveratrol, and can be used for granola, yogurt, smoothies, or baked goods. If you enjoy them on a regular basis it can help your cardiovascular system. To thrive like ancient cultures, jump into the nutritional time machine, and add these superfoods to your daily diet. When we consume these healthy foods, we beneficially take a page from the book of past civilizations. 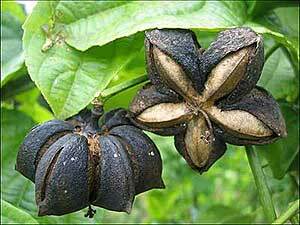 Sacha Inchi – This food is a little more obscure, but has been consumed in the Amazon jungle for ages. It’s considered a superfood of the ancient Incas and is reported to contain concentrated Omega-3 fats. It’s also rich in iodine, and vitamins A and E.
Maca – Another ancient Incan superfood, Maca can be found in the mountains of Peru. It’s said to be an excellent all-natural energy source and also contains numerous plant sterols, iron, magnesium, calcium, potassium, and iodine. Quinoa – You’ve likely heard of it because it’s experienced a growing resurgence in the past few years. But, quinoa has been around for ages. The Incas of South America refer to this food as chisaya mama, or the mother of all grains. It’s high in protein, calcium, and iron, and is very versatile. Cook with herbs and diced veggies or form with legumes and seasonings into veggie patties. Due to it’s high protein content, it is great to help makeup a high protein vegetarian diet, and can be used with natural remedies for hair loss and hair thinning. Spirulina – Spirulina is an algae that is rich in protein, vitamins, minerals, and antioxidants. It is said to be one of the oldest life forms on earth and has been eaten as long ago as the 9th century in the Kanem Empire of Chad. It’s good for your eyes, your skin, allergies, and stabilizing blood sugar. The ancients might not have known the word “antioxidant,” but they were onto something with this list of biblical “super-foods.” Explore this gallery to find out exactly how on-target they were. Feeling Sluggish, Moody or Burnt Out?